You can help us uncover past worlds. Volunteers and Interns are an integral part of the Denver Paleo team, helping with field expeditions, collections care, and preparation in our labs. Each year, the Denver Museum of Nature & Science offers paid internships designed to provide hands-on experience in fieldwork, collections, preparation, and research to aspiring paleontologists at all levels. 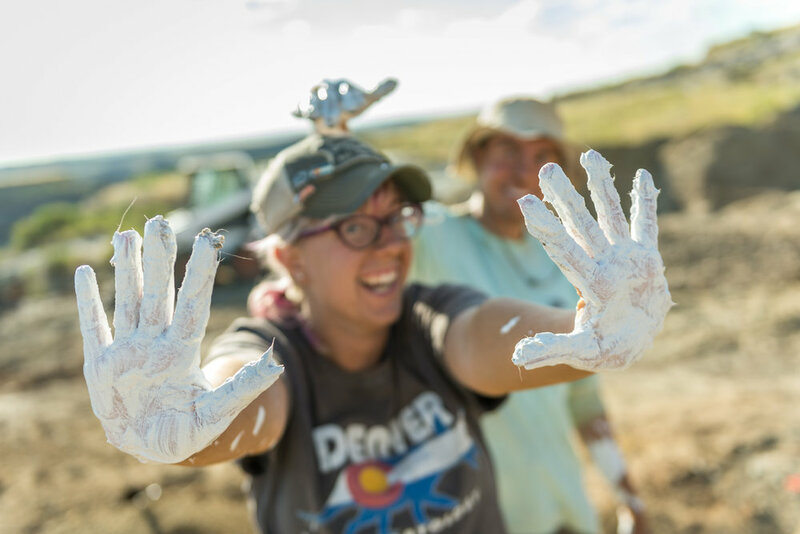 Volunteers are the lifeblood of Denver Paleontology! Each year, more than 60 volunteers join expeditions around the American West as field participants, and more than 300 volunteers participate in research, preparation, and collections care at DMNS.